On a fantastic island populated by unusual animals, a pirate captain finds a trustworthy companion in the little "Yellow Creature." Back in the 1930s, a young man named Mervyn Peake fled the pressures of modern society for the Channel Islands in hopes of living a free, bohemian life with his wife and two sons. Each Sunday, he would draw pictures of pirates, comical animals, and shipboard scenarios for his family's amusement. 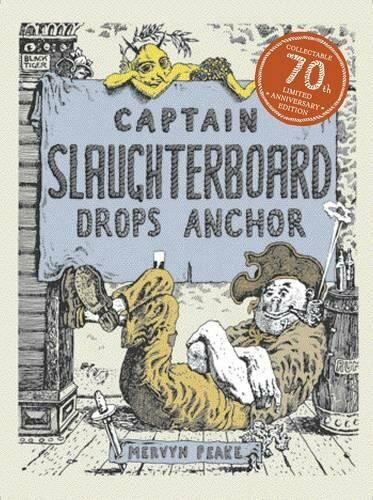 Captain Slaughterboard Drops Anchor, first published in 1939, is a stunning collection of those marvelously detailed illustrations and a splendid, swashbuckling story to boot. 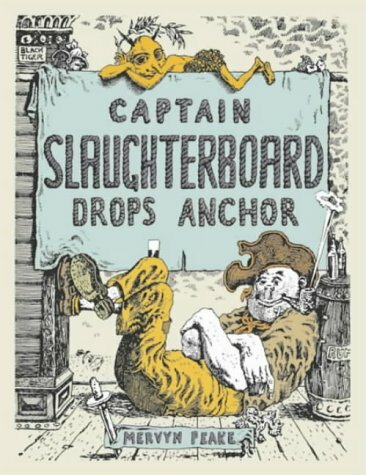 As the salty sea captain's name might suggest, he is as bloodthirsty a pirate as they come. One day, blue-tattooed mate Charlie Choke spies a pink island on the horizon. "'Pink!' shouted the Captain, leaping to his feet. 'That's just the sort I like. Sail me there and hurry up or I'll chop you all up into mincemeat.'" Mervyn Peake (1911-1968) wrote poetry and plays, was a painter and illustrator and designed theatrical costumes. But he is best known for his Gormenghast trilogy, which includes the novels Titus Groan, Gormenghast and Titus Alone. Several of his works have since been adapted into television and radio plays. 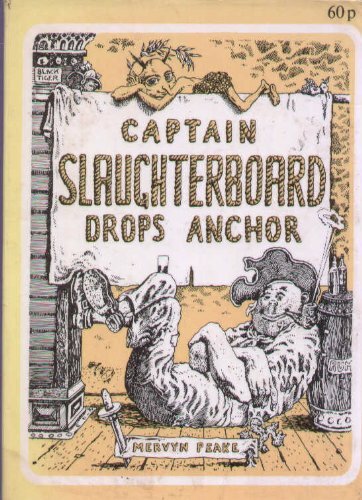 Mervyn Peake also illustrated memorable editions of such classics as Alice's Adventures in Wonderland, The Hunting of the Snark, Dr Jekyll and Mr Hyde and Treasure Island.